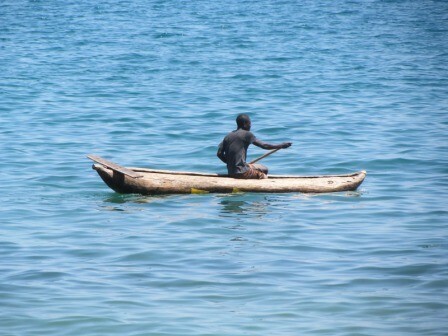 A Malawian fisherman in Nkhotakota district is feared dead as he is still missing in Lake Malawi after a canoe in which he and other five others were using capsized Tuesday, October 20, 2015. Confirming the development, Nkhotakota police publicist, Williams Kaponda, said the missing fisherman is Wilson Chunga, 20, from Vinthenga village in the district. Kaponda said the canoe had six fishermen on board and four managed to escape the fate. He said one fisherman was found dead some hours after the incident and he has been identified as Yesaya while the other fisherman is still missing up to date. Meanwhile, the spokesperson says Nkhotakota police officers and other fisheries personnel are still searching as to where the person’s remains are. This comes barely days after other 11 people died in Shire river in Nsanje on 12 October, 2015 on similar occasion as a canoe that had 15 people on board who were heading towards Mozambique where they owns farms capsized. mulibe kanthu mnyanjamu tizingofelamo tangopangani zoti mdziwa abwele pantunda tizipanga ulimi? know its acrocodile food,RIP mr Fishermong’er. So sad why? last wk nsanje 2day KK . Koma abale asodziwa akutha bwanji!!!!!!!!!! !